Here you can pay your initial deposit or full balance. You can pay by credit card or PayPal. Please enter agreed amount in the form below and click “Pay Now” button. After clicking “Pay Now” button you will be redirected to PayPal website to securely complete your payment. 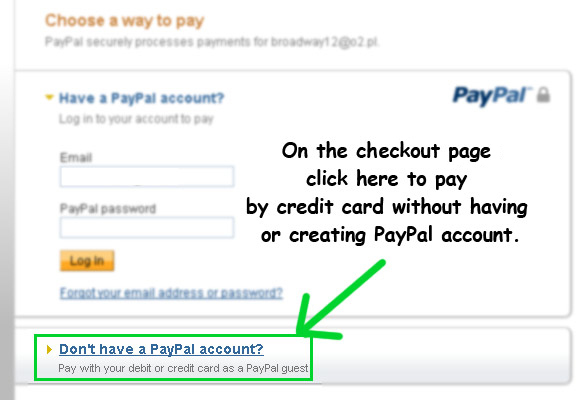 You do not need PayPal account to pay by credit card - see image below.